What is leadership? If you look up in a dictionary, you will find that the first meaning is simply “the action of leading a group of people or an organization”. Then you will have explanation of different styles, synonyms, derivatives, etc. But this is the core meaning according to the common knowledge. In reality leadership is much more than that. There are many forms, shades and styles of leadership: from the most evil to the most noble. The differences often depend on who is making the measurement and when the measurement is made. There was a time when the vast majority of the German people believed Hitler was their great leader and there was a time when the Western world shunned Mandela. So the identification of leaders, both in autocracies and democracies, is relative to time and space. But in the general terms of today, leadership is often measured by its success in ‘improving the condition of its adherents’. 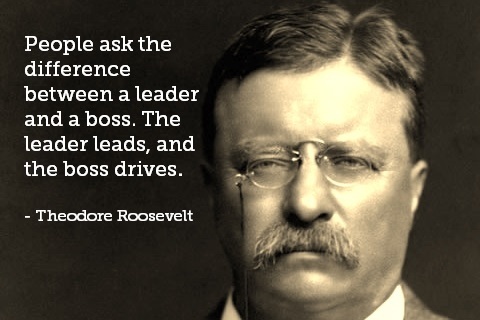 This is what leadership can be considered nowadays. However, to go deeper in the analysis of what leadership entails, I will take into account the definition of two types of leadership given by Dr. Dean Williams, Professor at Harvard University: “real Leadership” and “counterfeit Leadership”(1) . The ‘real leadership’ is the leadership that is based on facing the challenges lived by a group of people, be it a family, a club, a company, a village or a nation, in an efficient and effective manner. The “counterfeit leadership” is when the leader just try to sidestep the sometimes harsh truth of reality to make his success easier. So a ‘real leader’ is not one who says “follow me and all shall be well”, but one who first of all inform the members of the group that they are facing a certain ‘challenge’ that needs to be addressed. The challenge of maintaining the sustainability of the success achieved or the challenge of find the success that the group is not able to achieve yet; the challenge of facing a critical condition that risks destroying the group or the challenge that has already destroyed or weakened the group who now needs now to revive; the challenge of facing disturbances from internal or external elements or the challenge to rebuild the group after a manmade or natural disaster. Adopting this “reality challenges” is the first step that the leader can help to do. After that it is easier to determine who to follow and how to lead when an occasion calls on to do so. There is a of course a flow in considering the success of a leadership often merely in term of achieving economic development for a community. Take Singapore for example, the pet case of Dean Williams. He points out that Lee Kuan Yew, long time Prime Minister of Singapore, has brought his country from a “third world” status into one of the most prosperous “first world” nations. Therefore this is his main success and he had to be a great visionary to do so, someone who had been thinking of the future of his people long before he got into power. But is it really so? Is it just about economic development the real leadership? Or in reality was Lee Kuan Yew able to shift the values, habits and practices of his people? We have to analyze history and geography to understand better. Most countries in Southeast Asia gained their independence after World War II and of course their memory, their ‘geography of pain’, was about colonization, oppression and deprivation. Autocratic leaders in this region were the product of post colonization: Soekarno, General Aung San, Ho Chi Minh and many others of their contemporaries. So the leaders during that era had been shaped by their vision of independence, the pride of nationhood for their people and their strong ideology. Most of these leaders were great achievers, even if often they were not equipped to maintain their achievements, but became great leaders because all of them had given back the pride to their countries. So in the case of Singapore we can say that Lee Kuan Yew attained the title “father of the nation”, not only because he had achieved great economic benefits for his people, but also for building the overseas pride of Chinese in Singapore, who were once regarded as second class migrant citizens no matter how rich they had become. But besides this, leaders, as every human being, have phases and times: to stay great they have to know how long they should stay in power and when to step down. Williams names this capacity as ‘adaptive leadership’, that is a required quality for a ‘real leader’ as he plays the role of providing checks and balances in maintaining power. Lee Kuan Yew for example stepped down at the right time and this also made him a real leader. All the real leaders with such clear view in the “driving seat”, like him or Deng Xiaoping (Lee Kuan Yew had been a mentor to Deng, who later modernized China and turned it into what is today not by chance) can only lead in a particular phase and time frame: they are not supermen who can stay in power forever. Other younger leaders who are more in tune with the current reality and the conditions of the new situation have to be allowed to take over and leaders who failed to do this are not ‘real leaders’, and will definitely succumb to failure, being relegated from “hero” to “villain”, like Mugabe and Soeharto, or Mubarak and Gheddafi. So to conclude the point to make in understanding “Real” and “Counterfeit” leadership, in the terms of Dr. Williams, is the need to have a guidance, when one is called to make a crucial decision, based on informed challenges. And this happens in both autocracies and democracies. Take the example of Berlusconi and Renzi in Italy. The first ruled the country for many years saying that there were no problems, he didn’t see any economic crisis, never, and he just kept selling the dream of the “Neverland” to dumb Italians that didn’t want to hear about any problem. The second, a mayor of a town in constant troubles like Florence, said on the opposite: “either we change Italy and we go out of the crisis or is our end”. He pushed for the institutional reforms and the change of mentality of Italians, saying that they had to start to pay taxes and stop corruption, fight for meritocracy and not for keeping the positions of power by the elders, and work on their values and faith for their future and not playing ‘poor me’ in front of the challenges. This is a clear example of real versus counterfeit leadership. Or take the current presidential candidates for next week elections in Indonesia, one of the largest democracy in the world. The two contestants are excellent example of opposite leadership styles too: one, Prabowo Subianto, has born in a family of traditional leaders and was raised to be a leader; the other, Joko Widodo, is a grassroots leader. The first says on every occasion: “follow me, I will save this country and lead it to prosperity”, without specifying what is the danger that the country is facing and how he wants to save it. His sale pitch is: “trust me, I know how to do this”. The other instead tells the people what exactly is wrong with the country, what the problems are and how serious they are, and the need for the people to work hard to solve them. So applying the ‘Real’ and ‘Counterfeit’ guidance of Dr Williams it becomes easy to determine, which one is the real leader and which is the fake one. And this guidance is applicable also in everyday life, whether one is a leader or a follower. One faces leadership challenges constantly as an ordinary person: how to lead one’s family without resorting to threat and force that makes everyone unhappy, how to make a rebellious son or daughter sees the logic of learning from older people who has faced similar situation etc. Leadership is always about facing challenges to achieve progress. And the first thing to do in order to face them is to know them. This is one of the most powerful truisms to behold.